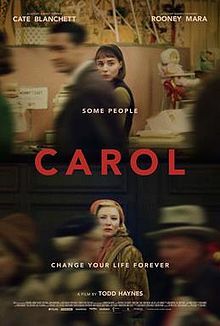 ^ Cate Blanchett, Rooney Mara to shoot ‘Carol’ movie here 互联网档案馆的存檔，存档日期2014-03-13. ^ Sneider, Jeff. ‘Not Fade Away’ Star John Magaro Joins Rooney Mara in ‘Carol’. thewrap.com. 2014-04-08 [2014-04-09]. ^ 製片公司之一"Killer Films"官方推特. That's a wrap on Cate Blanchett!. 2014年4月24日.